Generally speaking, advice on labor law matters tends to be conservative. 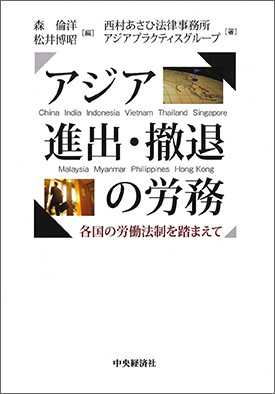 However, as the largest law firm in Japan, N&A constantly keeps up with the latest or progressive information by taking advantage of its resources, and accurately assesses risks through a multilateral approach utilizing personnel with diverse backgrounds, thereby endeavoring to offer solutions that meet business needs. N&A exhibits its strength and is valued for providing a true “one-stop service” by taking advantage of this system, especially in labor issues that overlap with other areas of the law, such as M&A, organizational restructuring and bankruptcy, not to mention our advising enterprises on daily personnel and labor issues and the structuring of compliance systems. In addition, N&A has achieved remarkable results in relation to labor disputes by taking advantage of its considerable experience in litigation in collaboration with an ex-judge who was previously at the special labor division and its litigation group. Further, in relation to cases with international and cross-border elements, N&A provides advice and guidance, always vigilant of differences in cultural and social norms by utilizing its attorneys with diverse sets of language skills, as a law firm that specializes in cross-border matters, and collaborating with the practice group engaging in international cases. In Asia, utilizing our global network as well as our branches, we provide practical advice that reflects the actual situation in each country.